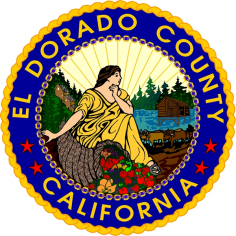 (PLACERVILLE, CA) – El Dorado County’s Department of Transportation will perform road work requiring a full road closure on Pony Express Trail, beginning ¼ mile east of Sly Park Road just past the Shell gas station and continuing for approximately 1,000 feet. This work is to repair a failed slope area below the roadway outside the limits of the previous storm damage repair project. Pending weather conditions, work is anticipated to begin on Monday, April 8, 2019 through Friday, April 19, 2019. The full road closure is anticipated to be for the duration of the project. Access for local residents and emergency personnel and law enforcement will be available during the work period. Detour notifications will be posted approximately one (1) week in advance of the closure, and will continue through the duration of the closure. Residents and visitors of Pony Express Trail within the limits of the project are advised to use Sunset Drive access off U.S. Highway 50 approximately one (1) mile east of Sly Park Road during the closure. This closure is necessary to ensure motorist and worker safety while the County's contractor repairs sections of slope area that was damaged during the recent storms. For questions regarding this repair and construction, please contact the County's Transportation main line at (530) 621-5900 (select Option 3 for Engineering).